Apostolic Revelation: Because All Believers Like Levi Are Priests, And Also Kings, Should They Tithe? Because All Believers Like Levi Are Priests, And Also Kings, Should They Tithe? Does Tithe Apply Only To Old Testament Period Of Time? Question : In the Old Testament the tribe of Levi were considered as priests by God, and all tithes given by the eleven tribes were directly given to them as their inheritance (Num 18:21; Heb 7:9). Because there is no longer a tribe of Levi in the New Testament in order for us to give our tithes and offerings, and also all believers in Christ in the New testament are called to be Priests or a Royal Priesthood (1 Peter 2:9-10), Is this the reason why tithing is no longer enforced in the New Testament? Can we disperse the Money being collected from the believers to be served directly to the brethren according to their needs, so that no one will be lacking from among the brethren in things they need? (Acts 2:43-47, 4:34-37, 6:1-7). Can you please show me even one scripture stating that a New Testament Christian is required, advised, asked, or directed by God to be a tither or tithe? I believe that the money of the Church should be distributed to all the brethren especially those in urgent need, in the early Church there was no believer who lacked, every one of them were supplied according to their needs, ministers if possible should have a job to earn a living in order to support his family, that the may be an example of all good works to the flock, they must learn to avoid what is impropriety and what is expedient (1 Corinthians 9:9-18, 2 Thessalonians 3:6-12). What do you think regarding these things? Answer : Greetings to you in Jesus wonderful name! Paul the chief Apostle to the Gentiles says, "6 Let him who is taught the word share in all good things with him who teaches. 7 Do not be deceived, God is not mocked; for whatever a man sows, that he will also reap. 8 For he who sows to his flesh will of the flesh reap corruption, but he who sows to the Spirit will of the Spirit reap everlasting life. 9 And let us not grow weary while doing good, for in due season we shall reap if we do not lose heart. 10 Therefore, as we have opportunity, let us do good to all, especially to those who are of the household of faith." (Gal 6:6). What does the above verses mean? It means that the 5 fold ministry gift of Jesus to the Church should be supported in the New Testament...so that they can go freely in to all the world (Matt 28:19-20), and preach and teach the Word of God to grow and bear fruit in the lives of believers, the ministers should give themselves wholly to prayer and meditating upon the word of God in order to be effective in their work (Eph 4:11; Gal 4:19). So every person who is blessed by the Word of God must be considerate towards those who supply to them the spiritual manna of the Word of God and support them monetarily to carry out the mission of God. So basically the tribe of Levi was for the nation of Israel, and NT ministers are for the Church and so they depend on those who are blessed by the Word of God and those who are blessed by them should generously choose to bless them monetarily. Patriarch's like Abraham, Isaac and Jacob who lived by faith did not give to God out of compulsion but rather out of thankfulness they worshiped God (Gen 14:20; 26:24-25; 28:22). The problem with the time of Jesus' ministry with the religious Tithers like Pharisees was, they all religiously tithed even to small exact amount of "mint and anise and cumin," but they did not practice it in the love of God towards God and people by leaving out justice, mercy and faithfulness which should have been practiced along with their tithing (Mt 23:23; Lev 27:30). In the Scripture Apostle Paul clearly said, "13 Don't you realize that those who work in the temple get their meals from the offerings brought to the temple? And those who serve at the altar get a share of the sacrificial offerings. 14 In the same way, the Lord ordered that those who preach the Good News should be supported by those who benefit from it." (1 Cor 9:13-14, NLT). In other words, Paul is saying that just like the tribe of Levi received Old Testament tithes of people, so Jesus Himself ordered that the New Testament teachers and preachers of the Gospel should be supported by the Church members who are benefited by their spiritual ministry. Jesus Himself was supported by those who voluntarily gave their money for His mission and the mission of His disciples (Luk 8:3). Paul the apostle himself received the support of certain churches which were mature to give Him and avoided the immature churches so that they might not blame his ministry as though it was done by him to make a comfortable living out of their money (1 Cor 9:11-12; 2 Cor 9:5; 11:8; Php 4:15-18; 1 Thess 2:5, 9; 2 Thess 3:8-9; Acts 20:33-35). This shows that a minister of God need not necessarily use their right and demand to be supported by his Church members or those who benefit from their ministry, but rather give them all a opportunity to increase in the righteousness and grace of giving towards God by receiving their monetary support as their give cheerfully and willingly to them. After all, what they sow in faithfulness towards God is what they will receive later in their life, either sparingly if they have sown sparingly or bountifully back if they have sown bountifully (2 Cor 9:6-8, 10). The same Paul who avoided monetary support from the new born Church and the persecuted Churches to carry on with tent-making business along with his disciples to support themselves in ministry (Acts 18:3; 20:34), freely received monetary support from other Churches which had the ability to give and support his ministry. The writer of the Epistle to the Hebrews was a missionary and he commended the believers for letting him "plunder their goods" (Heb 10:34). In the same way Jesus also did not avoid receiving monetary support from those who voluntarily wanted to support His and his disciples mission. In fact, all his disciples completely left their job and followed Jesus. They needed money to propagate the gospel, so they received monetary gifts which Judas actually collected and kept in a money box (John 12:6). When you say, to New Covenant Ministers, '...if possible they should have a job to earn a living in order to support his/her family, that they may be an example of all good works to the flock, they must learn to avoid what is impropriety and what is expedient.' (1 Corinthians 9:9-18, 2 Thessalonians 3:6-12). My question is, if the ministers of God are working for their own survival how could they have time for giving themselves to continual prayer and to the ministry of the Word (Acts 6:4). So it is the obligation of the Church which receives the spiritual benefits from the 5 fold ministry gifts of ministers, should come forward to support them monetarily and help them continue their spiritual ministry, in order to strengthen and extend the kingdom of God through them (Eph 4:11; Gal 6:6; Rom 10:14-15, 16-18). Church is not essentially a philanthropic organization to freely provide money to all, but it is rather a spiritual organization which exists to do the work of saving souls and building them in to mature sons and daughters of God so that the kingdom of God can be extended and multiplied around the world through the believers who do the work of God in the society where they live and come in to contact with the world around them. For this reason, apostle Paul instructed all believers to work hard, so that they can support their family, those in need and those who work as gospel ministers alike can be supported financially, so that they might be fruitful spiritually and also live in the blessedness of being a giver (1 Tim 8:8, 6; 2 Thess 3:10, 7-8; Acts 20:35; 1 Cor 9:18). In the first century Jerusalem Church, many great saints were poor people and also the apostles dispersed the money there towards believers because God led them to give at that time and spread the gospel to all the people around, so that the same believers could spread like wild fire to take the Gospel of the good news of salvation to all the world according to the instruction of Jesus to the apostles (1 Cor 16:1-2, 3-4; Acts 1:8; 4:32-37; 6:1; 8:1, 4). So your exposition in this matter need to be practical from the whole Bible point of view and not just the first century Jerusalem Church contextually, which at that particular time was having different kind of religious and political tyranny against the Church which made the Church to act on its own under God's specific instructions for them. We can take certain good principles from that first century Jerusalem Church but not set it as a rule and try to apply it for the Church of today, in which case it is not practical as today's ministers need money like all humans to carry on the Church's mission to be fulfilled in our generation. When people tried to eat even the 10% Tithe that God asked to give as a sign of thankfulness, God called these people thieves and robbers because they consumed themselves what belonged to God (Mal 3:8; Mark 12:17). 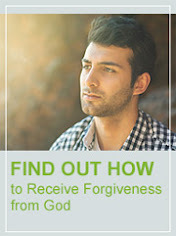 We can learn to practice New Covenant giving by starting with our Tithe which is just a Old Testament level of giving, and from there grow on to the New Covenant method of giving which is a better covenant where our giving needs to be practiced in a better way by Cheerful Giving (2 Cor 9:7), Liberal Giving (2 Cor 8:2) and Sacrificial Giving (2 Cor 8:3) or else we will start to draw back in to stinginess and lack because of it in our Christian life and family life. Jesus always praised profusely those givers who practiced it like that Widow who gave everything to God and Mary who poured out all her life saving in worship to Jesus (Luke 21:1-4; Matt 26:6-13). A safe way to practice giving is to go from our Tithe to Total giving of each and every thing including our bodies which is only the New Covenant way of giving. It is not done out of compulsion but out of love for the Lord in giving us eternal salvation and a great future for eternity ahead with Him apart from our works by His total grace. That which costs us nothing is worth nothing, so let us learn to give our best to God always who has given us His all in Christ Jesus (2 Sam 24:24; Rom 8:32). Giving in itself is a grace that we need to practice and grow in it, if we do not use this grace we will lose it, so we must see to ourselves that we abound and excel in this area of giving our money towards God (2 Peter 3:18; 2 Cor 8:7). When some one questions and asks, 'Is Tithing compulsory in New Testament Times?,' they do not realize with thankfulness of how much the Lord has already blessed them with all spiritual blessing in the heavenly places to live a abundant life (Eph 1:3; John 10:10). Tithe is just a minimum of the Old Testament where we can safely start and go on to total giving of everything in the New Testament standard (Acts 4:34-35, 36-37; Rom 12:1). No commandments of the law was reinforced in the New Testament by any of the apostles because all of it has become obsolete and outdated by the better covenant which Jesus has mediated between God and us which is full of better promises from God (Heb 8:13, 6). In the New Testament, we just believe God's promises and walk in the blessings of God (Mark 9:23; Luke 8:49-50). While Old Testament emphasized doing for God which has become outdated now, New Testament emphasizes being in God through believing which is much better than the Old (Eph 2:8). Law came through Moses, Grace came through Jesus (John 1:17). So tithing was a law of the Old Testament, Cheerful Giving (2 Cor 9:7), Liberal Giving (2 Cor 8:2) and Sacrificial Giving (2 Cor 8:3) are all the graces of the New Testament. In other words, in the New Testament people should come to realize that out of what God has already given them, they are only giving a part of what He has already given them as a thankful acknowledgement and gratitude towards Him for His constant care and sovereign provision towards them (1 Chron 29:14). 1) Distribute the Lord's money where you are taught the Word of God (Gal 6:6). 2) Distribute the Lord's money to all the ministers of God in the five fold ministry like pastors, teachers, evangelists, prophets and apostles (Eph 4:11). Some are mobile or trans-local, while others are residential or local. If you are fully giving all your money to only pastors you are robbing others ministers of their due. If you are only giving to a television evangelist, you are robbing the other ministries their due. It equally applies to all the others para-church ministries. 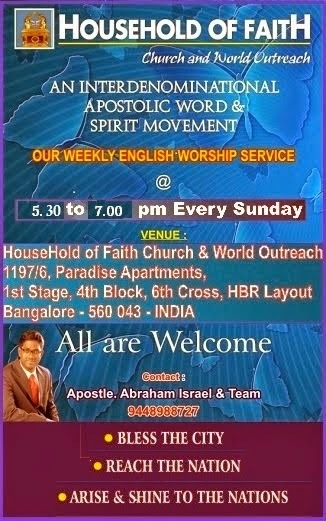 Today God has raised apostolic Internet ministries and it is a pioneering ministry of apostles, you can choose to support such ministries where lot of people are blessed but only few take notice of it to bless them financially and help them carry on the mission that God has given them. This is the same with prophetic ministries in our times who pioneer on the Internet and use it as a tool to reach the worldwide Church of God and believers. In short, support where there is need and fruit that comes out of it. Paul like pioneer workers who go in search of sheep outside the fold (Matt 9:36-38) and those like Apollos who were pastoral workers tending the sheep inside the fold (1 Peter 5:2), need to be remembered and supported for the fulfillment of the mission which God has given them to fulfill as they are equally important. 3) Distribute the Lord's money to poor people who are in need and share along with it the gospel of Jesus Christ to them personally (Prov 1:17). Especially should help the poor believers, and oppressed orphans and widows who are in great need (Gal 6:10; James 2:15-16, 17; 1:27). 4) Distribute the Lord's money to those who are pioneer who go in to new areas to evangelize and plant Churches, where the workers cannot expect support from people they reach (3 John 7, 8). Also support specialized ministries like Bible Translation, ministry to drug-addicts, blind, deaf, dumb, lepers, invalids and so on which our Lord Jesus always commends (Matt 25:31-46). 5) Always distribute and support with the Lord's money those missionary-minded five-fold ministers of God who use the bare minimum for their own need and turn over the rest to outreach ministries. It is safe to trust them even with large sum as they will be always accountable to God as well as to men who give them (2 Cor 8:20, 21). The thumb rule is that you can give half of what you give to the local Church and the other half to other type of ministries as the Lord leads. But please make sure that such support doesn't get in to the hands of apostates who promote so called modernism without real faith within and shake up the faith of other Christians (2 John 10,11).